A thundering disgrace. The infamous language used by Defence Minister Paddy Donegan to describe President Cearbhall Ó Dalaigh certainly springs to mind. The President’s ‘sin’ was to refer the Government’s tough new anti-terrorist emergency powers legislation to the Supreme Court to test its constitutionality in 1976. Following the minister’s remarks, Mr Ó Dalaigh became the first president to resign from office, stepping down on October 22, just under two years into his seven-year term. Donegan is, unfortunately, long gone and Fine Gael no longer has politicians of the old school who place standing by the institutions of the State above expediency. Fine Gael has long since lost the epithet of being the ‘law and order party’. The resignations of two justice ministers in the long-running whistleblowers scandal has left Fine Gael’s reputation as the party of justice in tatters. 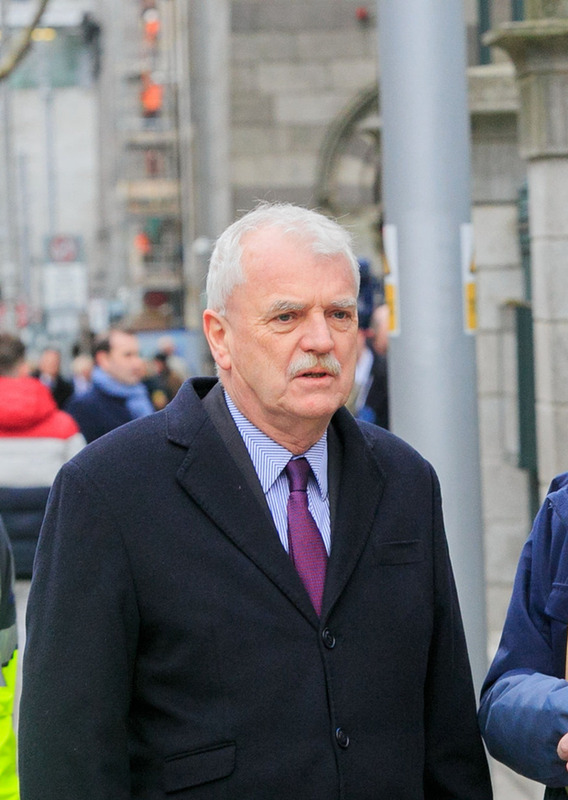 Hence, Junior Minister Finian McGrath can get away with just a rapid climbdown on his claim gardaí have become politicised and are carrying out unnecessary roadside breathalyser checks because they oppose new road safety laws. In a dramatic understatement, McGrath says he was “wrong” to make the suggestion in an interview with the ‘Sunday Independent’. “I am also happy to state that I have full confidence in An Garda Síochána and that I was wrong to suggest there was any element of politicising within the force over the new drink driving regulations,” he said. The best the current incumbent of the Department of Justice, Charlie Flanagan, could muster was a weak riposte saying McGrath’s comments were “bewildering and bizarre”. “Allegations of ‘political policing’ are unwise, even dangerous.” The Garda Síochána had to issue a statement saying the organisation is non- political and that its main function is to keep people safe. Taoiseach Leo Varadkar was silent. Transport Minister Shane Ross, who is McGrath’s de facto leader in the Independent Alliance, was also conspicuous by his silence. The Government needs to clearly and unambiguously state its confidence and support for An Garda Síochána. McGrath’s position in Cabinet and as a minister must also be questioned. His record as a disabilities advocate is noble. But that doesn’t afford him a pass here. His role as Minister for Disabilities makes him a Minister of State in the Department of Justice and he also sits at the Cabinet table. Following his disgraceful remarks, he cannot continue to retain this status. He must either resign or be moved elsewhere. The Independent Alliance’s participation in Government is supposedly the antithesis of ‘New Politics’. Bring back ‘Auld Politics’ if this is what we’re going to get as leadership of the country.